Here is a very interesting wood automaton that is spring-powered. The mechanism incorporates an escapement that looks a lot like a verge escapement. 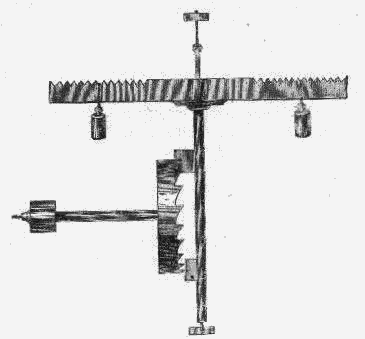 The verge escapement -- also known as the "verge and folio" -- is among the earliest known type of mechanical escapement, which allows a steadily applied force to be measured out in even intervals. 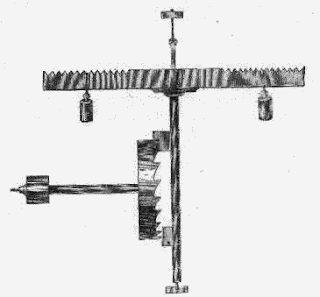 Dating back to 14th century, the verge and foliot made mechanical clocks possible and set the precedent for using an oscillating motion to regulate time. This method -- in form of pendulums and springs -- would become the dominant method for regulating clocks. See more automata by Cristian Blanco at the Juguetes Autómatas blog. Muchas gracias por destacar el automata. Efectivamente es el mecanismo de cuerda, regulado por el escape de relojeria. Yo no hablo español, así que estoy usando Google Translate. Esperamos que este mensaje es comprensible. Gracias por su carta. Me encanta su autómata. Es muy ingenioso.